A NEW vision for farming and a road map to rural innovation is being sought by the Federal Government to maximise cooperation, collaboration, capital investment and technological development. 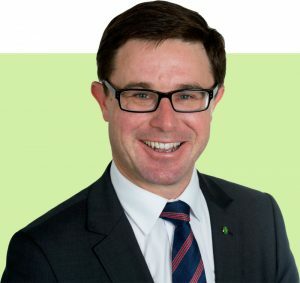 Minister for Agriculture David Littleproud said today he has commissioned Ernst & Young to develop a strategic vision for the future of Australia’s rural innovation system. Mr Littleproud pointed out that the vision development process was not a restructure of Australia’s rural research and development corporations (RDCs), but Sheep Central believed its outcome is expected to impact on RDC structure and potentially on any government or producer levy expenditure programs. Mr Littleproud’s office said delivering a shared vision will require extensive consultation and input from a broad range of stakeholders. The project will involve more than 450 interviews and 10 workshops and will look overseas at other systems to ensure we capture the latest approaches and leading thinking on research, innovation and agtech development. “I want all players from across agriculture, research and agtech sectors to contribute,” Mr Littleproud said. “Our rural innovation system has helped farmers increase productivity over the past 30 years and needs to continue to do that as we move towards the NFF’s target of an agriculture sector worth a $100 billion by 2030. “Let’s make sure Australia’s rural innovation system is ‘fit for the future’ and improve it through more strategic collaboration, improved pathways to commercialisation and by becoming a more attractive place for investment in research and agtech development,” Mr Littleproud said. “This is not a restructure of the RDCs. The new vision of Australia’s innovation system will be launched early next year.